Choosing between Keto Fridge and Healthy Chef Creations, you are faced with a rather difficult task. Both services have unique qualities that make them highly popular among hungry customers nationwide. However, that does not mean that the choice is impossible to make, as one of these services does have a bit more to offer. Our Keto Fridge VS Healthy Chef Creations comparison below allows you to discover what it is that makes these two services different from each other, as well as which one constitutes a better choice. With Healthy Chef Creations, wholesome fresh meals prepared by first-class chefs can be delivered right to your doorstep. It offers meal plans suitable for people of all ages, children and seniors included. 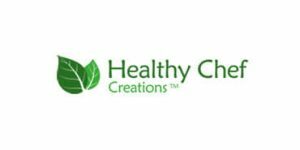 Read our Healthy Chef Creations review to learn more about this meal delivery service's offer and decide if it is the right choice for you.